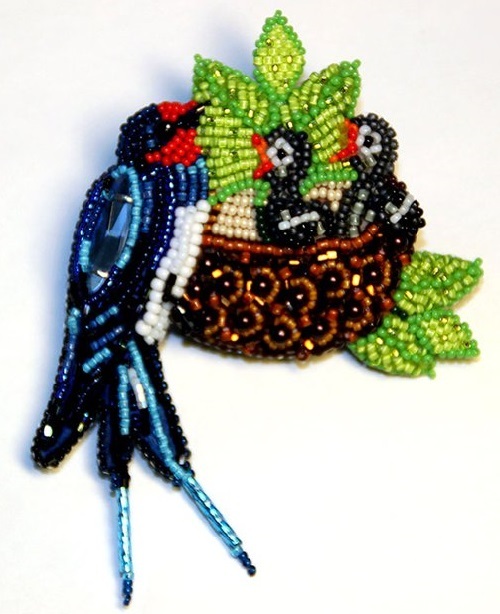 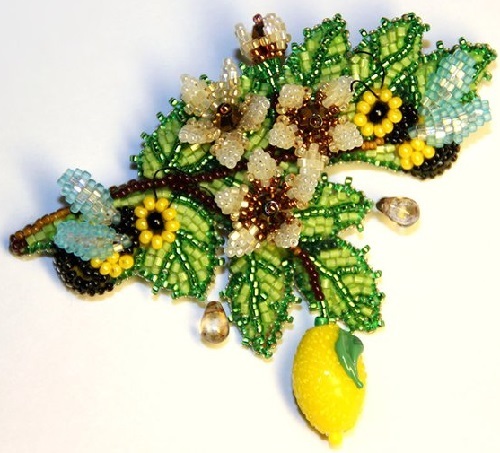 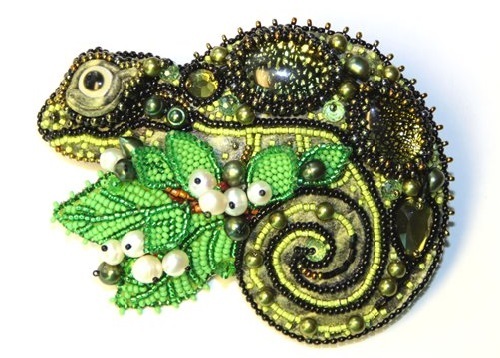 The author of these Miniature beaded brooches – Moscow based artist of applied art Lyubov Tyurina. 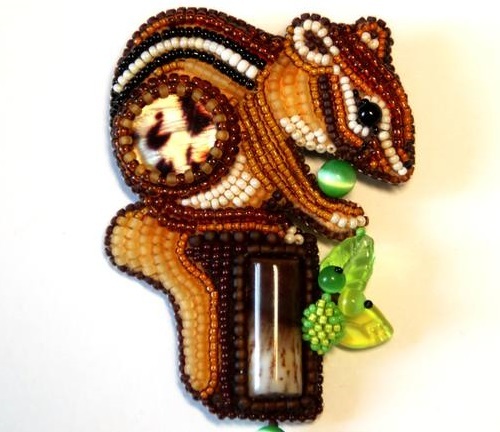 Since childhood she has experiences boundless love for nature and all living things. 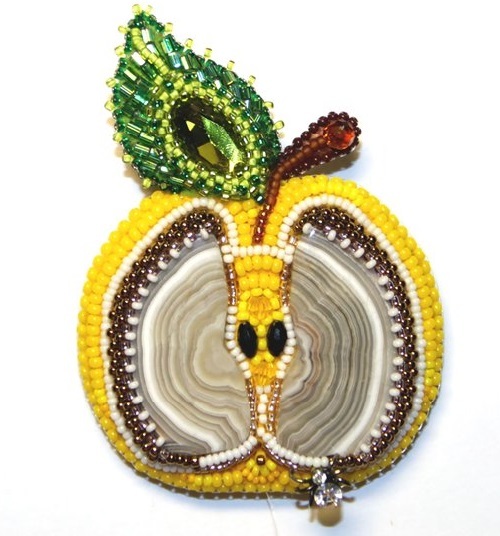 In her opinion, the nature is an endless source of inspiration for all her creations. 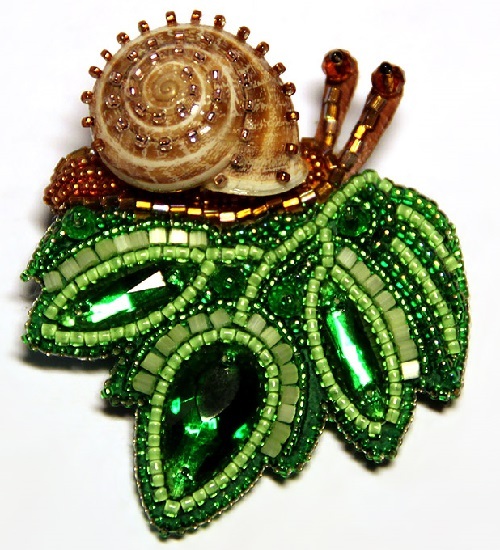 Her brooches, miniatures, of course, reflect the love of nature, convey her feelings and emotions. 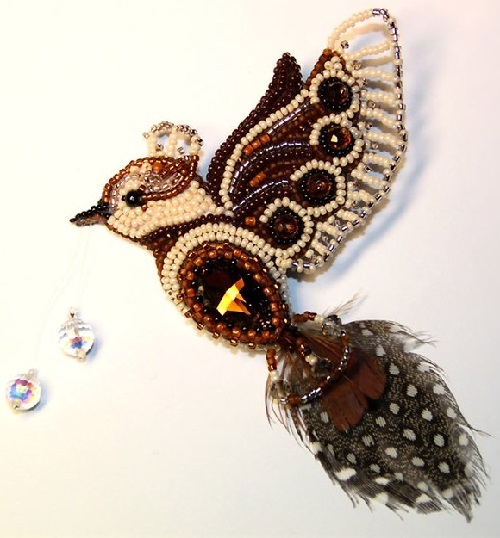 She loves to paint, sew, write poetry, and applications of paper. 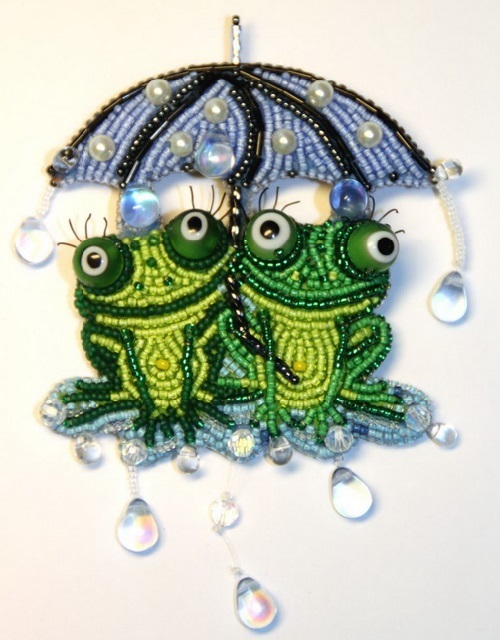 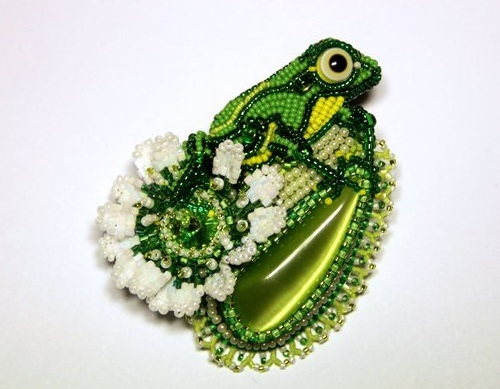 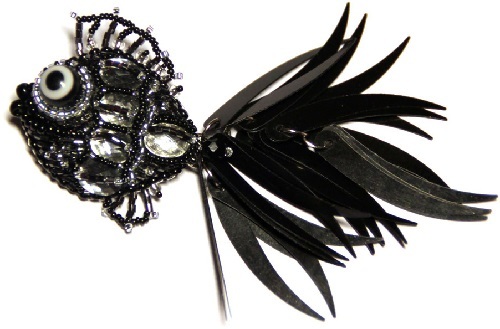 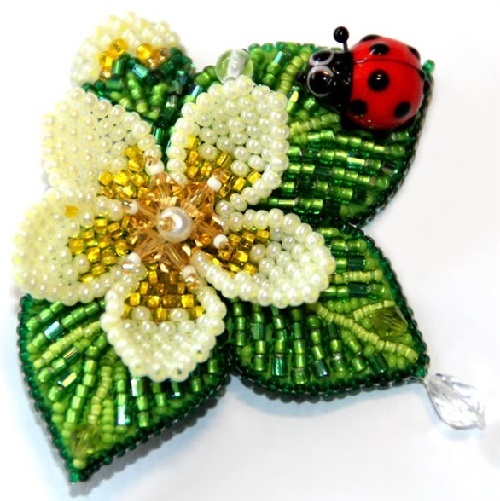 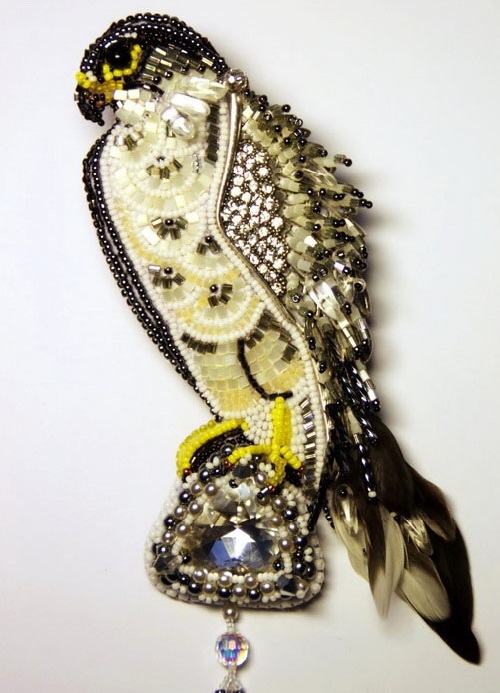 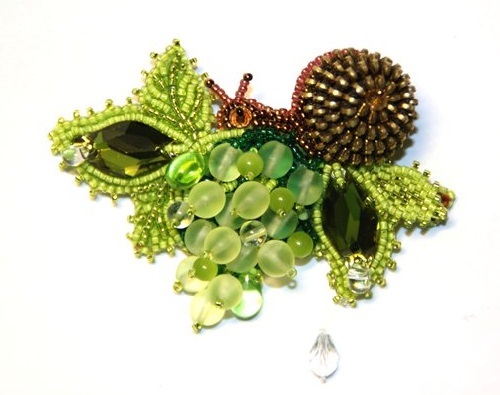 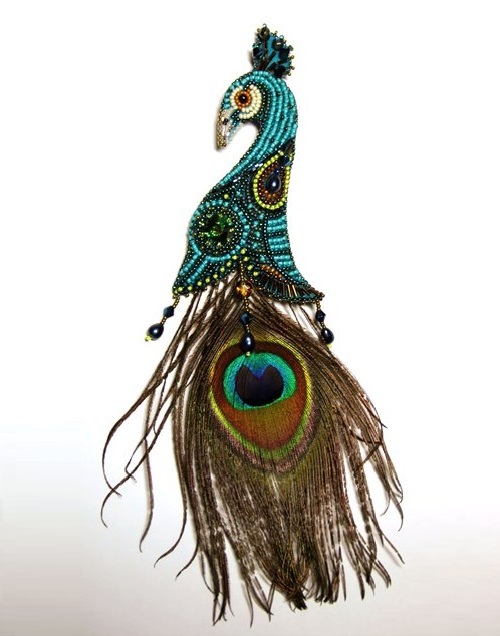 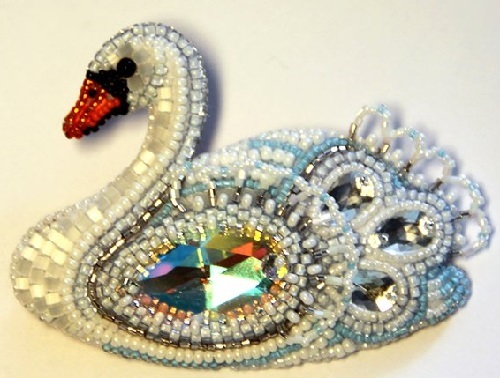 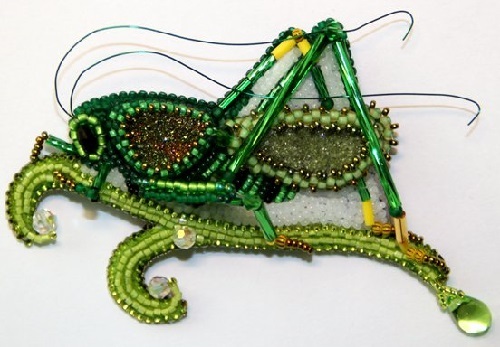 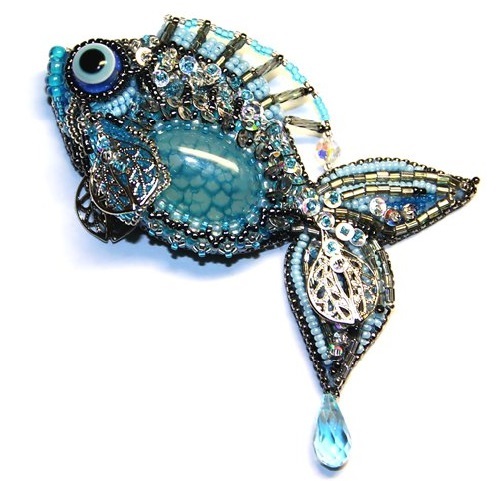 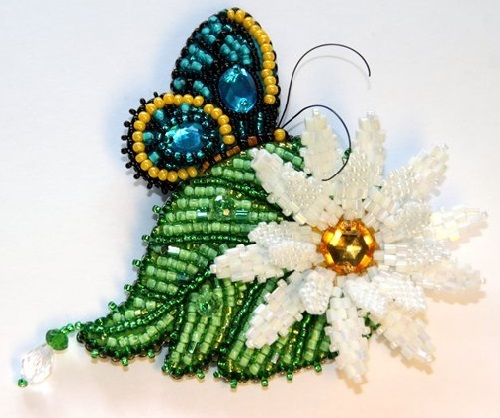 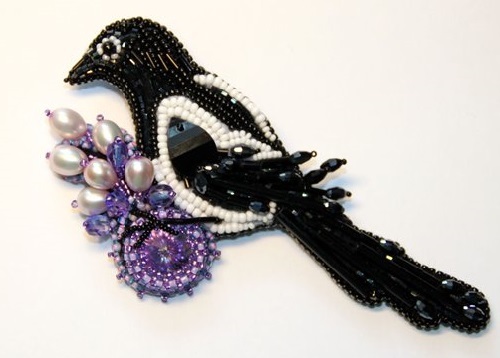 Lyubov Tyurina participated in the 6th International Exhibition in Moscow “Beading Design 2012” where her miniature brooches won in the category “Jewellery”. 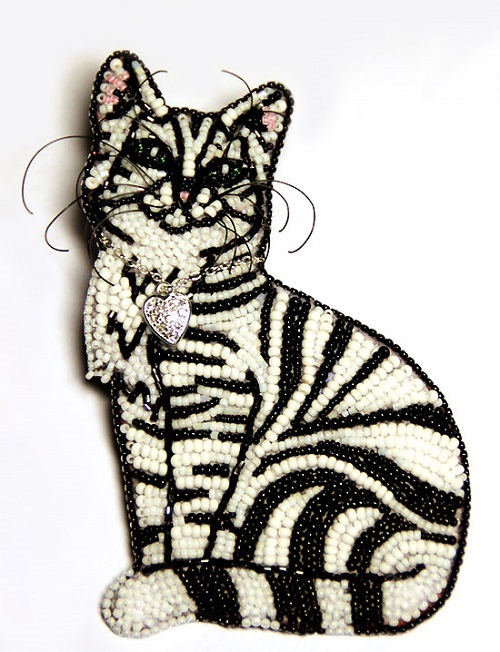 Among my “secrets” in the work – always start embroidering brooch from eyes and when they “look at you” then it is a half of success. 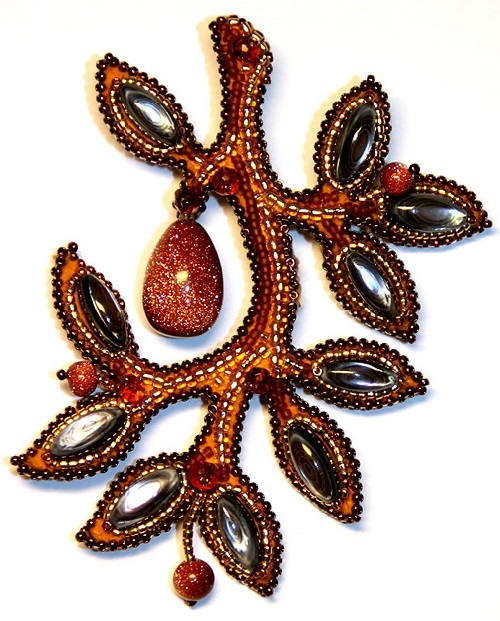 A lot of pleasure I get from the finished work and the reactions of people who see it and wear. 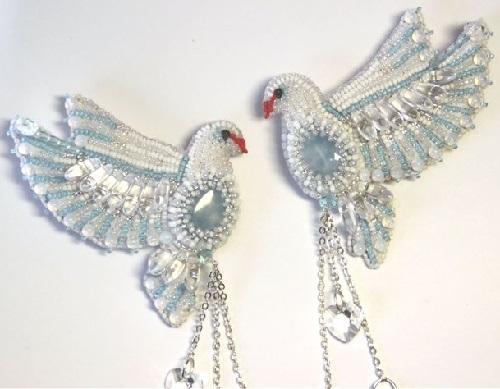 “What touches our heart, must come from the heart.” And yet – I can not allow myself to embroider by force, without desire: nothing good comes out of this. 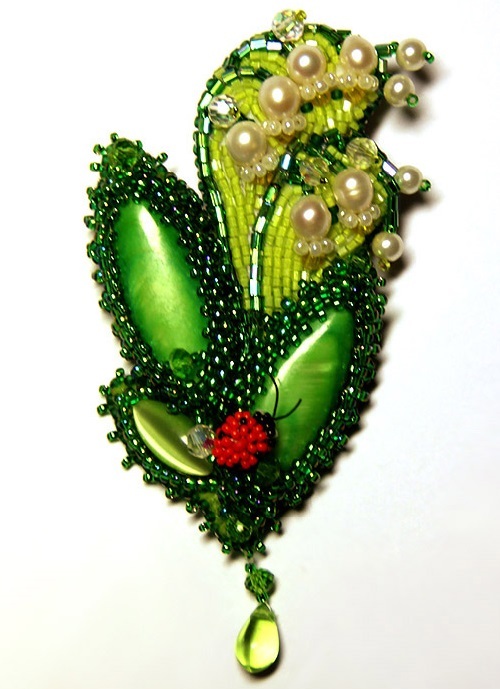 Of course, my work is not perfect, shortcomings and mistakes. 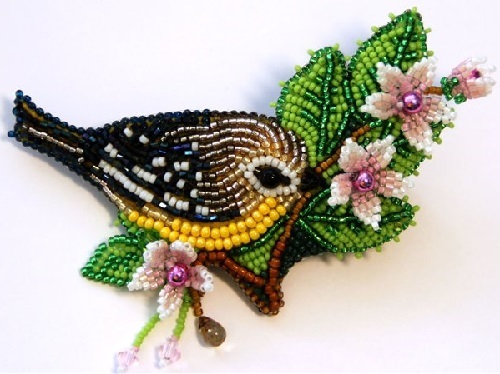 Beads are nice to touch, it is very fertile material. 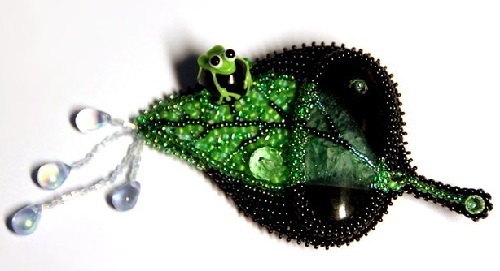 I like to create from it a cute thing, “tiny story”. 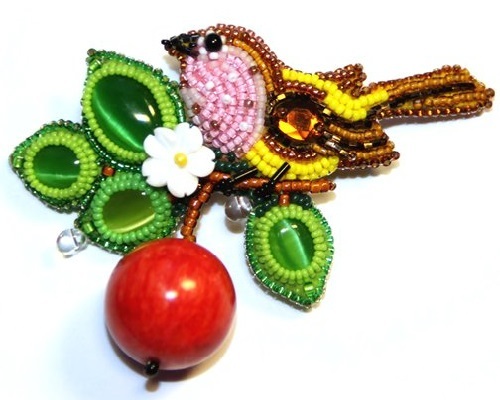 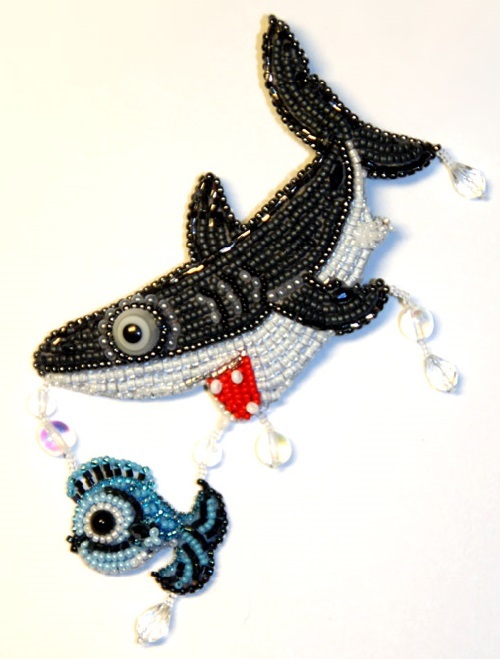 Working with beads has no borders, everyone can choose what he likes.